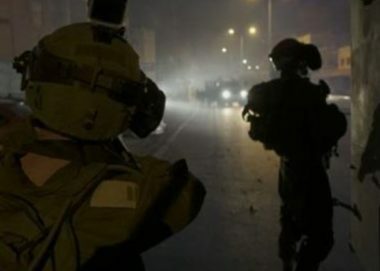 Israeli soldiers invaded, on Friday at night, Misilyah village, south of the northern West Bank city of Jenin, and caused many Palestinians to suffer the effects of teargas inhalation, during protests the followed the invasion. In related news, a 3-month-old baby was among several Palestinians injured by Israeli forces suppressing the weekly peaceful anti-settlement procession, Kufur Qaddoum town, east of the northern occupied West Bank district of Qalqilia. 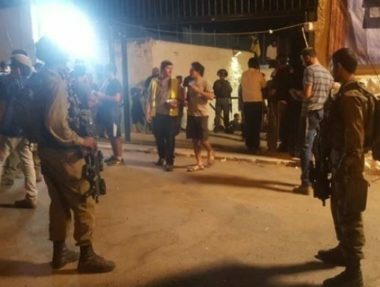 Furthermore, an elderly man was injured after he was hit by a gas canister in his leg, while others suffocated from teargas inhalation, when Israeli forces attacked the weekly nonviolent protest against the Annexation Wall and Colonies, in the village of Bil’in, to the west of Ramallah. In the Gaza Strip, the soldiers continued the excessive and deadly use of force, including sniper fire, against the nonviolent protesters of the ongoing Great Return March procession, killing seven Palestinians, including two children, and injured 506 others, including 90 with live fire.